Making money isn't really very difficult if you have killer ideas, but the real deal is managing money. I liken money to a "seed", until released, it is only a promise of tree (wealth). Every penny you waste is a potential wealth. 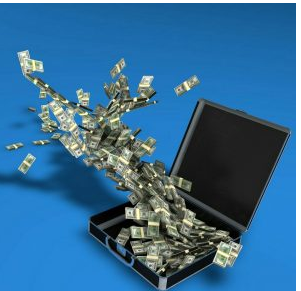 Have you noticed you get confused when a huge sum of money comes your way unexpectedly? You start developing lavish ideas in your mind. This is because money is very good at creating confusion, most especially when you aren't prepared for it or you are not used to the principles of money. Just like Subomi said; "Wealth can quickly lead to option paralysis, followed by greed." If peradventure you are expecting a particular sum of money it is better you plan ahead and draw a list of what you intend to do with the money. Be creative in your imaginations, do not wait till the money arrive before you start planning. Imagine you have a huge amount of money lying in your bank account, draw up a spending/investment plan. When the money finally comes, stick with the plan you have already. If you can keep to your plans, then you are a man of honour. 2. YOU NEVER GET THE AMOUNT OF MONEY YOU NEED, YOU GET A SEED. This is a natural principle, even God created man and the universe with just a seed (the spoken word). That was the only available raw material. Have you not notiiced that most times you pitch a business idea to someone and you demanded say a hundred thousand naira you end up getting less than that amount? That is to tell you no body will give you the trees you need, but only a seed. That's life's way of testing how creative and innovative you are. With whatever amount you have you can make that dream come to pass because you have potentials. Folks, stop complaining of always not having enough, multiply the seed you have. There is no excuse for your inability to multiply wealth in as much as there is a seed in your hands.